Remember the “peace dividend”? The world, it seems, can never have enough weapons. Arms imports by the Middle East rose by 86% compared to the period 2007-2011. The top five arms importers between 2012-2016 were India, Saudi Arabia and UAE, China and Algeria. The top five arms exporters between 2012-2016 were US, Russia, China, France and Germany. Trump’s desire to see the US nuclear arsenal as "top of the pack" suggests generous future defense spending. The global arms trade has reached its highest point since the end of the Cold War. According to the Swedish-based Stockholm International Peace Research Institute (SIPRI) – which provides authoritative data on global arms production and trade – more weapon systems were delivered between 2012 and 2016 than in any five-year period since 1990. These figures are corroborated by the bustling defense sector. 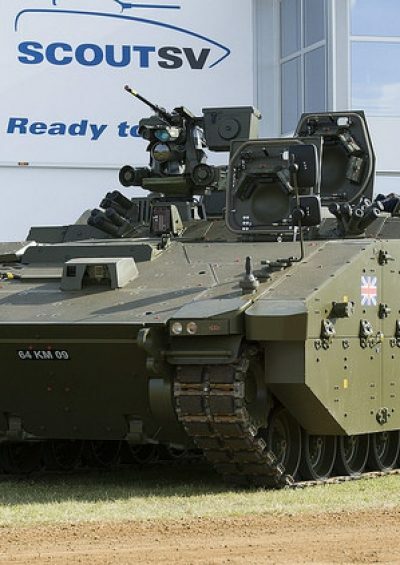 International defense exhibitions such as the Defence and Security Equipment International exhibition DSEI, the International Defence Exhibition IDEX and the Eurosatory arms fair are seeing record numbers of exhibitors and attendees. The increasing demand for arms is primarily driven by the Middle East and Asia. Arms imports by the former rose by 86% compared to the period 2007-2011. As the SIPRI data shows, the global arms trade is still dominated by the USA and Europe (although the market share of Russia and China is steadily climbing). Companies based in the USA and Western Europe accounted for 82.4% of the top 100 arms companies’ sales. The top 100 arms companies had sales of $370.7 billion in 2015, with the top ten accounting for $191.4 billion. As the democratic West is by far the world’s leading arms producer, a responsible global arms trade must begin with the USA and Europe. This has major implications for international security. While arms are not by themselves responsible for starting wars, their build-up can provoke or exacerbate regional and global arms races, leading to increasing tensions and a greater risk of conflict. Due to their sensitive nature, high value and the geopolitical relationships they can cement, governments often collaborate with industry to both secure and facilitate arms deals. France (Dassault Aviation) – India: 36 Rafale medium multi-role fighter jets. Cost: approximately $8.8 billion. USA (General Dynamics) – United Kingdom: 589 Ajax Armoured Fighting Vehicles. Cost: approximately $4.36 billion. Germany (KMW/Rheinmetall) – Qatar: 62 Leopard 2A7+ Main Battle Tanks and 24 Panzerhaubitze 2000 155mm self-propelled howitzers. Cost: approximately $2.21 billion. USA (Boeing) – India: 22 AH-64E Apache attack helicopters and 15 heavy-lift CH-47F Chinook transport helicopters. Cost: approximately $2.21 billion. It is difficult to see how the defense sector’s foreseeable future will be characterized by anything else but growth. Rising nationalism, regional rivalries, and ongoing conflicts will ensure demand for major weapon systems as well as small arms in some key regions will remain high. Europe: the combination of an increasingly assertive Russia and pressure from the USA to meet NATO defense spending guidelines – which has become acuter under the Trump administration – will lead to an increase in European defense budgets (at least in the medium term). Germany, for example, (which currently spends well short of the 2% of GDP stipulated by NATO guidelines) aims to spend up to $148 billion on new equipment by 2030. The USA: In line with his campaign promise, President Donald Trump announced his intent to build up the U.S. military with a reported $54 billion increase – approximately 10% – in the defense budget. Trump’s desire to see the U.S. nuclear arsenal be at the “top of the pack” suggests that generous future defense spending is likely. Asia: China will almost double its defense spending to $233 billion by 2020. Japan’s defense spending is also on an upward trajectory as the country continues to reassess its pacifist posture. North Korea’s continuing nuclear and ballistic missile programs will ensure its neighbors maintain robust military spending as well. An arms race between India (the world’s leading arms importer) and Pakistan is ongoing also ensuring a high demand for arms. The Middle East: A rivalry between Saudi Arabia (the world’s second largest arms importer) and Iran (which has turned to Russia for arms) is ongoing. The conflicts in Iraq and Syria will also ensure the region remains a major destination for arms transfers. While some arms are necessary and they can, in some cases, contribute to maintaining peace, ever more arms do not make the world safer. Arms control and limitation measures are therefore central to maintaining global peace, as well as to limiting the damage and suffering during armed conflicts.